When it comes to maintaining a home, there’s never a lack of things to learn. 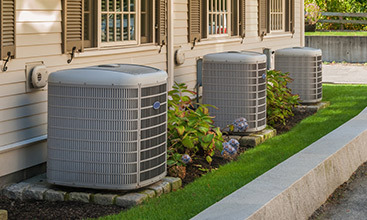 Whether you’ve just purchased your own home or you’ve been a homeowner for a decade, the more you know about your plumbing, electrical, and heating and cooling systems, the more money you’ll be able to save each month maintaining them. Whether you’re looking for heating repair, plumbing repair services, or drain cleaning services, EZ Flow Plumbing has got your back. 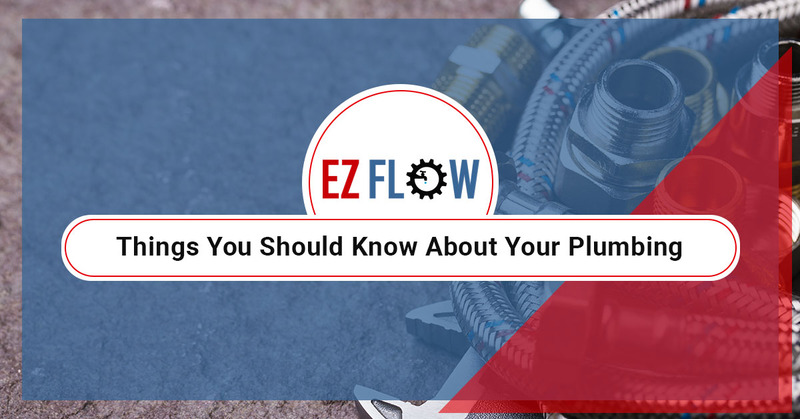 Contact us if you’re ready to get started or read on to learn several things every homeowner should know about their plumbing system. First and foremost, you should know where your plumbing system’s main shut-off valve is. Occasionally, this will be located outside the home, but it’s usually in the basement. By knowing the location of the main shut-off valve, you will be able to cut water access to your home in the event of a plumbing emergency or maintenance. If you’re planning on drilling or nailing anything into the ceiling, walls, or floor, you should first make sure there aren’t any plumbing pipes. If you’ve ever experienced water damage in your home, you know how devastating it can be. We recommend using a stud finder to locate any pipes and avoid drilling there. If you still have concerns about this, speak with our Clifton plumbers before doing anything. Not only is a small leak a sign that there’s a bigger problem at hand, but that small leak can waste a lot of water. According to the United States Geological Survey (USGS), your home could be leaking several gallons of water every day. Although one drip doesn’t account for much, you could be wasting an enormous amount of water every month. When homeowners find themselves with a leaky faucet, the tendency is to immediately tighten any fixture located near the leak. Although this seems like the logical thing to do, it’s not always going to solve the problem. Overtightening could lead to broken or stripped screws. Remember, if it’s hand-tight, it’s just right! 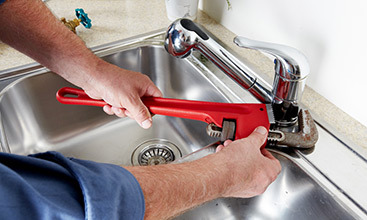 In addition to leaks, you should never ignore a clogged drain. You know your toilets and faucets better than anyone. If you notice they aren’t working the way they usually do or water drains slower than normal, you should take action immediately. Chances are if the clog is not fixing itself, it’s getting worse. As your Top Rated Local® plumbing company in Clifton, New Jersey, EZ Flow Plumbing & Heating, LLC. 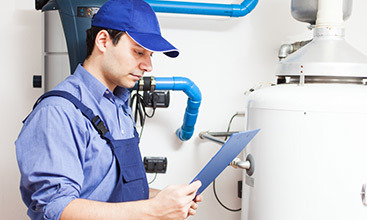 is dedicated to ensuring your plumbing system is always functioning its best. Although you can’t understand everything about your home and how to maintain it, you can know what to look out for and who to call when you do have a problem. Visit us online or give us a call today to get started. ©2017 EZ Flow - Do not copy. All rights reserved.